Time for another Gallery Post! 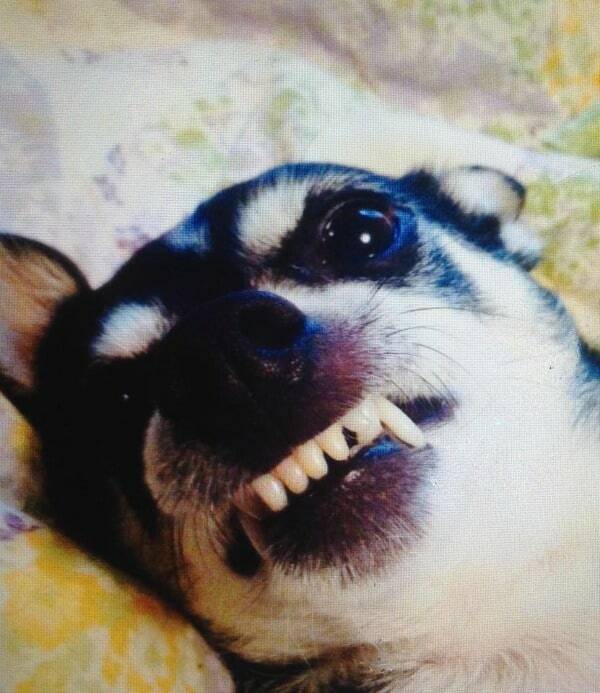 Today, I thought I would lift your spirits by showing you 30 photos of Smiling Chihuahuas. Does your dog smile? 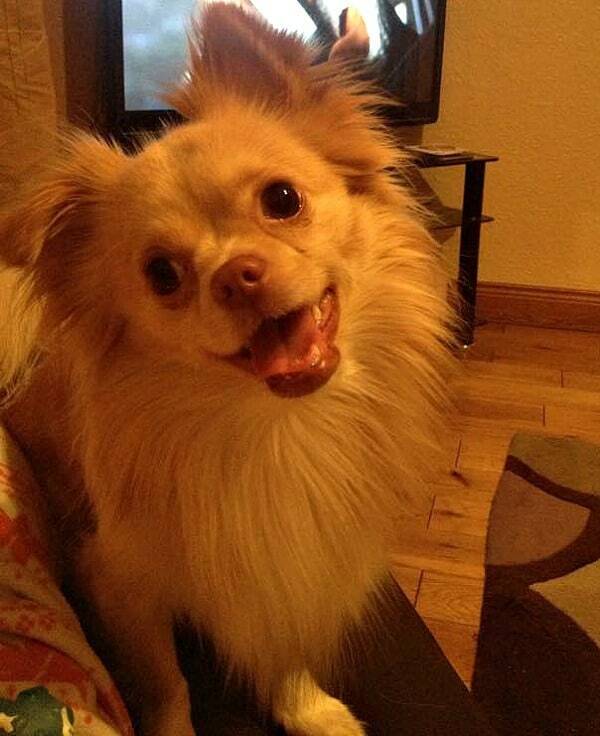 It’s simply adorable to see a smiling dog. I will show whatever details I know about these dogs and their parents. 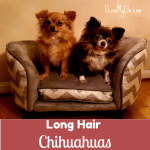 I don’t know the names of these two pretty long hair Chihuahuas, but they belong to Kelly Marie Watson. 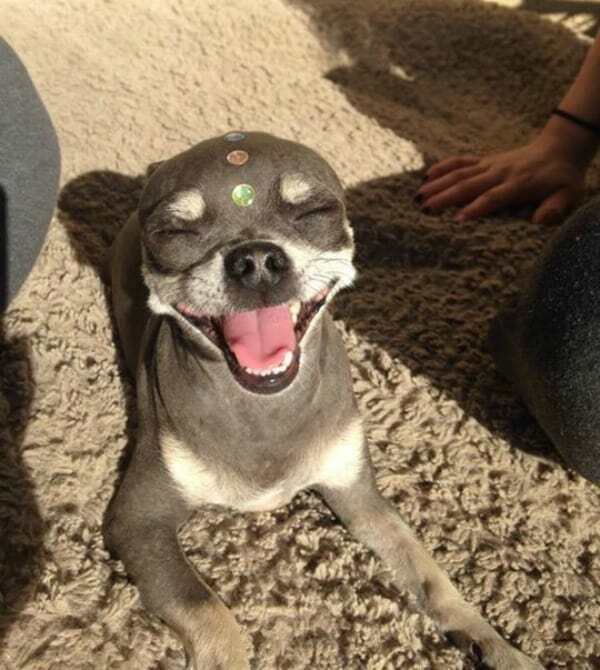 I don’t know the name of this Chi either but it’s cute how she (or he) has the crystals on their head. 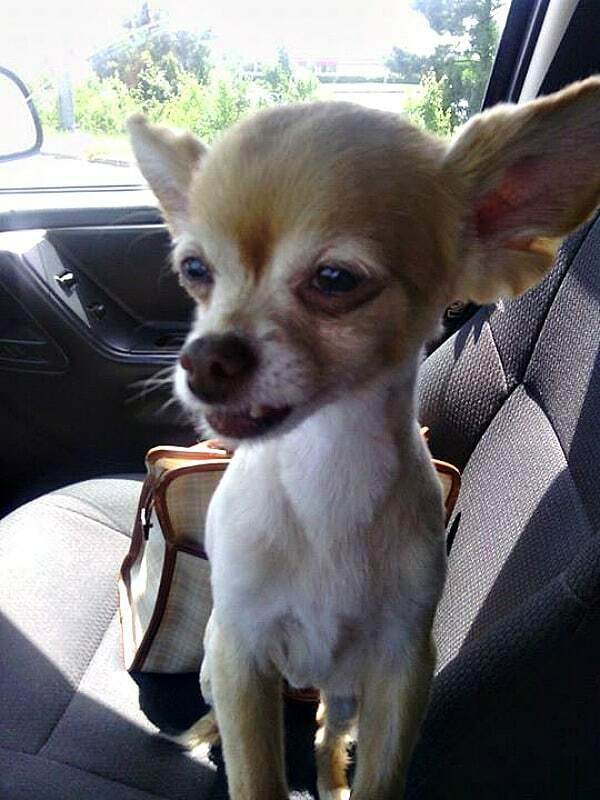 This Chihuahua belongs to Shealee Dragoo. Roxie is striking a beautiful pose, isn’t she? Her mom is Felicia Ramirez. 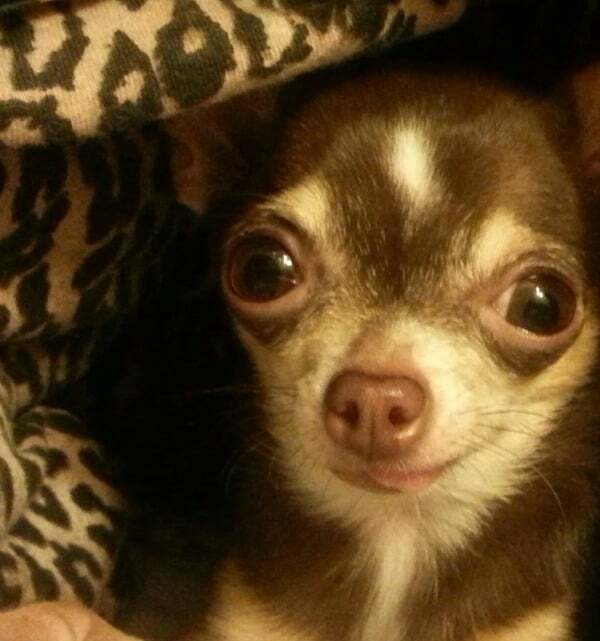 This cutie patootie is Smilliń Miss Millie the Chihuahua. 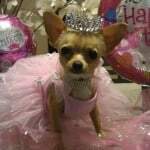 She belongs to Felicia Ramirez, who also own Roxie in the photo above. The quality of this photo isn’t great but I just love that smile so I had to include it. 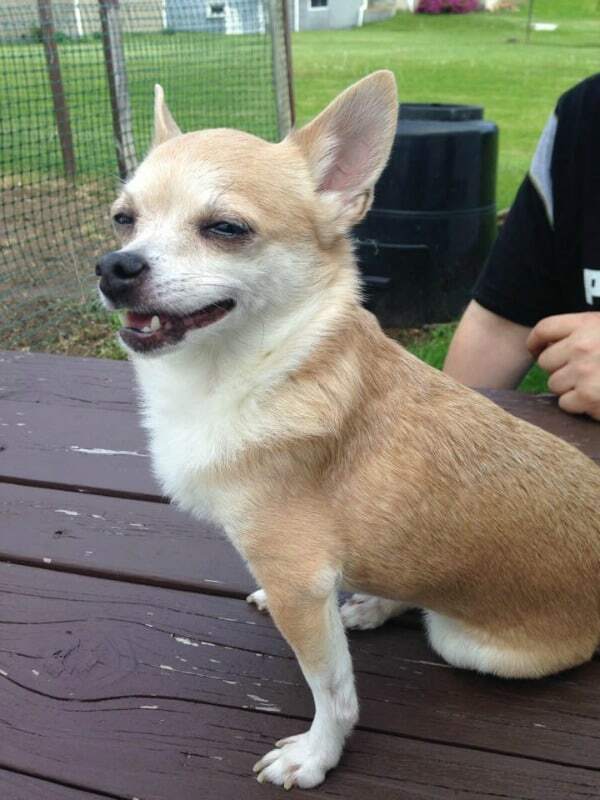 This Chihuahua is owned by Ana Vizcarra. 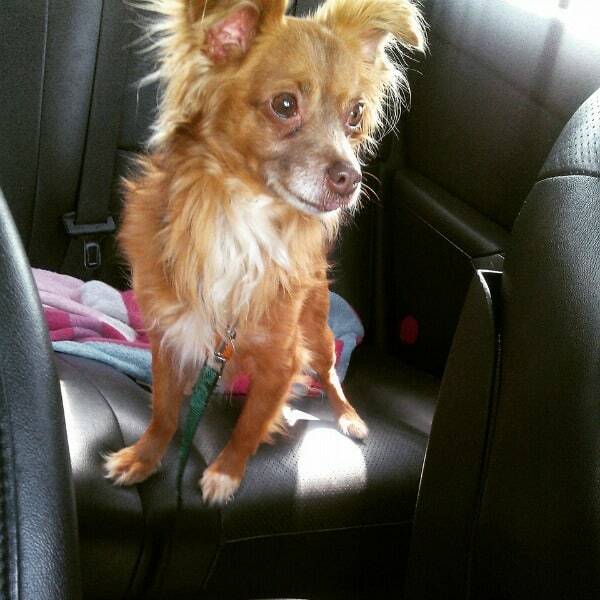 Penny is the perfect name for this copper colored Chi isn’t it? And she’s smiling so pretty for you. She is loved by Renee Robinson. 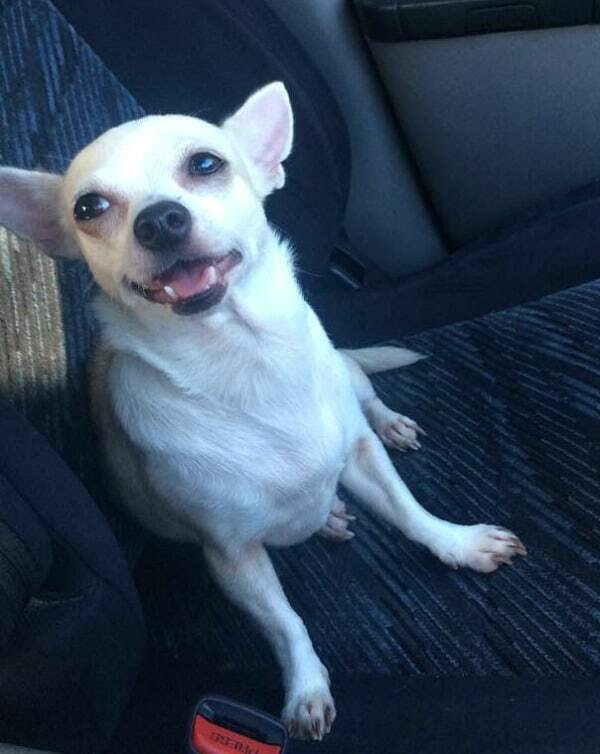 I don’t know the name of this little Chi but I bet she is smiling because she is going for a car ride. She belongs to Emily Hoskins. 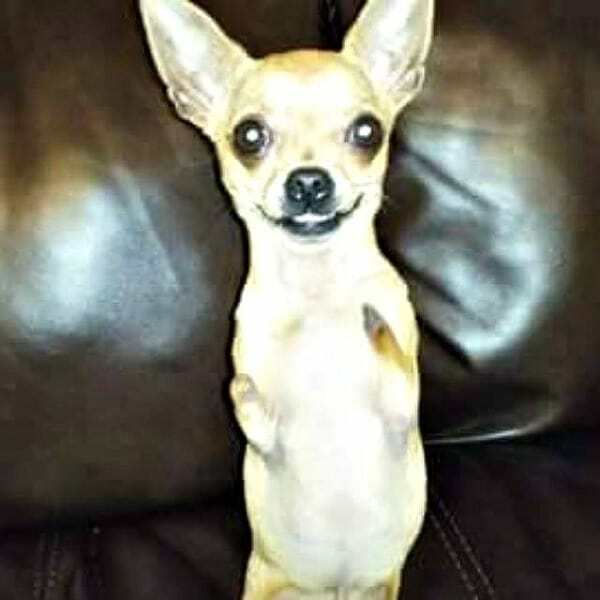 Skippy is a 2 legged Chihuahua and belongs to Kelli Ann Dee. What a nice smile! 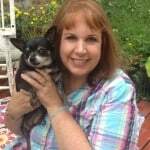 Jessica Cox owns this little Chihuahua but I don’t know the Chi’s name. Adorable! Presley sure looks happy. Do you think it’s because he’s at the beach? His mom is Sally Silis. 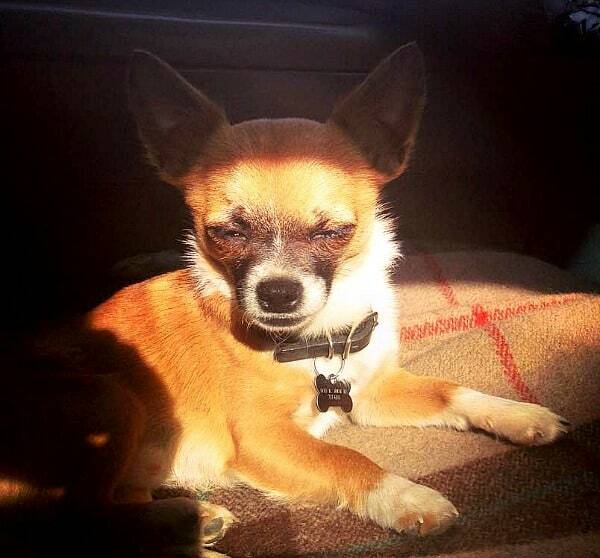 I don’t know who owns this little Chihuahua but the owner is Natasha Samantha Rankin. Love that cute little face! 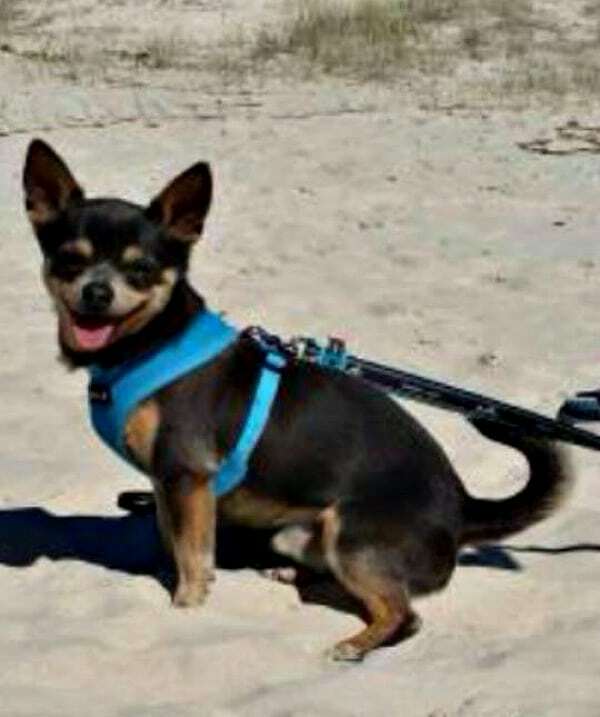 I don’t know anything about this little Chi except that they are owned by Sandy Daniel. 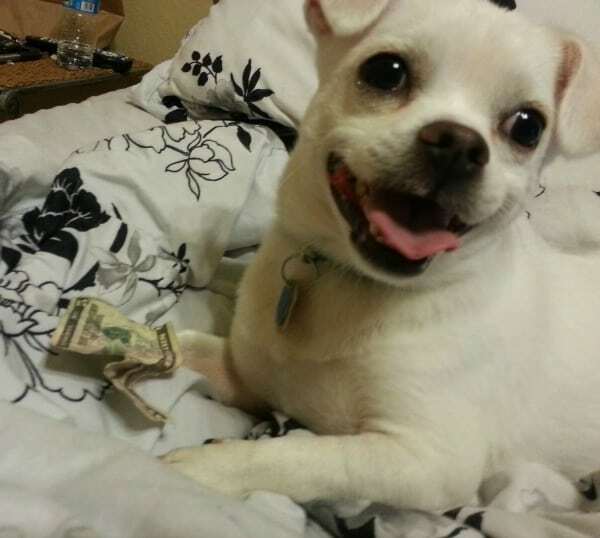 Maybe this Chihuahua is smiling because he or she has money. 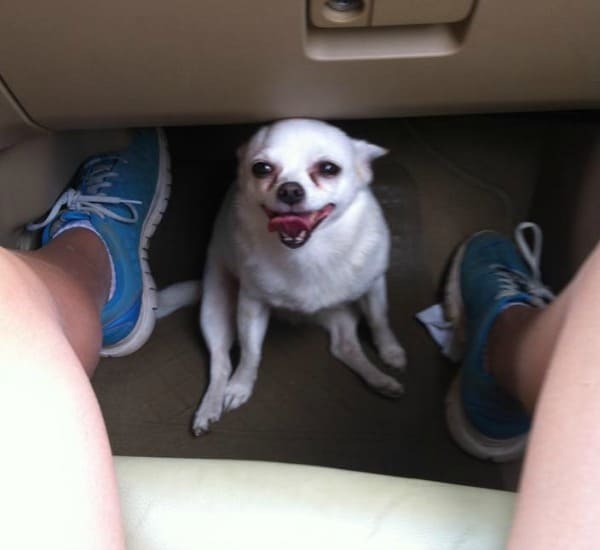 This little guy seems quite happy to sit on the floor in the car. Cute smile! 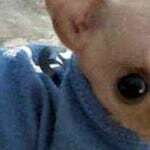 The pet parent is Myriam Willey. 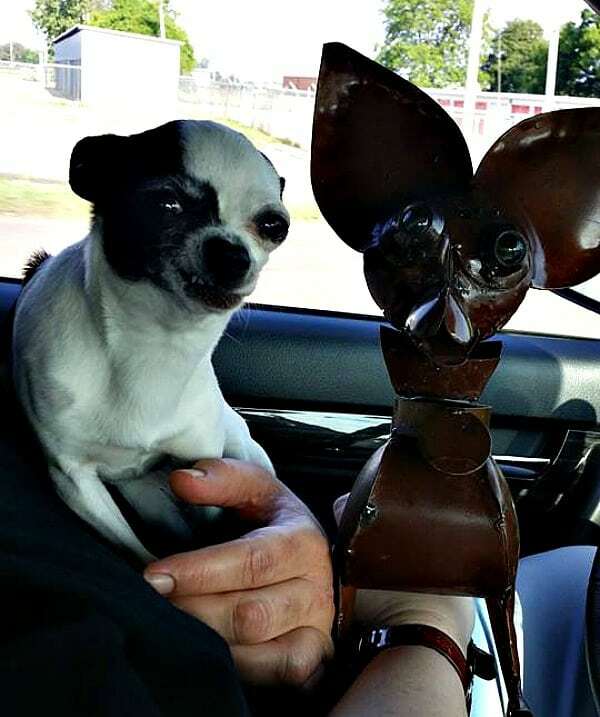 Another copper colored Chi, but this one is a long haired Chihuahua with a slight smile and belongs to Nicole Castillo. 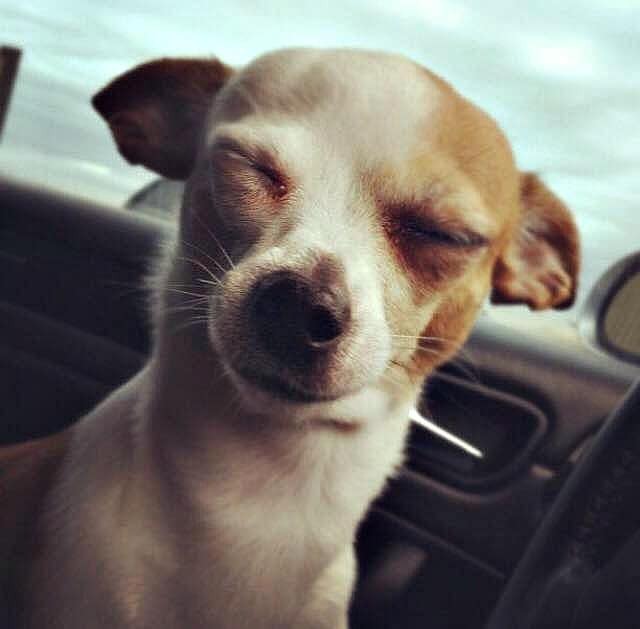 I love how happy and bright eyed this little dog looks. And that’s some impressive tonguege going on. I don’t know the name of the dog but he or she belongs to Cecilia Aiello. 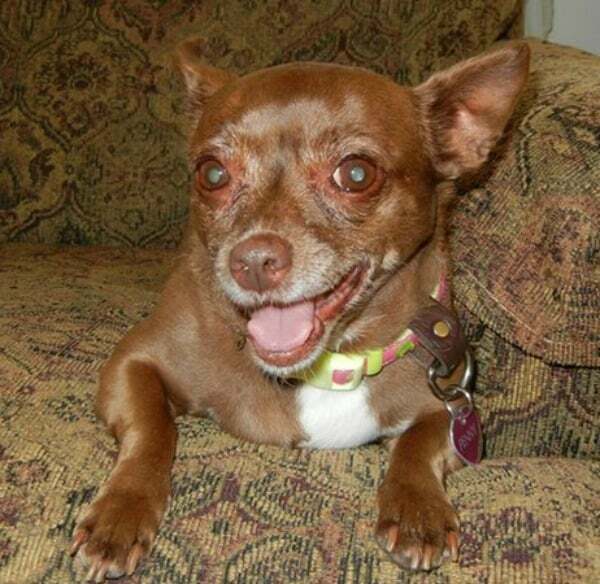 Lovely little Rita has such a sweet smile! It kind of reminds me of Mona Lisa’s smile. And look at that little tongue peaking through. So adorable! She belongs to Carla Cox. 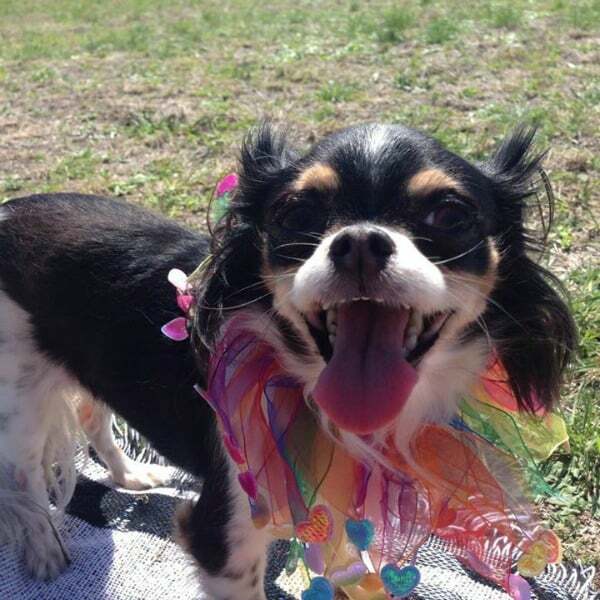 Princess is giving you a pretty smile here. She is loved by Shirene Scribner. 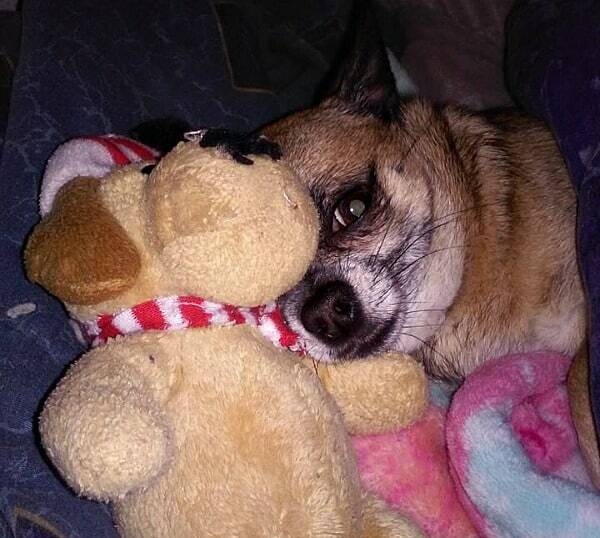 Chloe Marie is peeking around her stuffed doggy and giving a shy smile. She belongs to Rose Salinas. 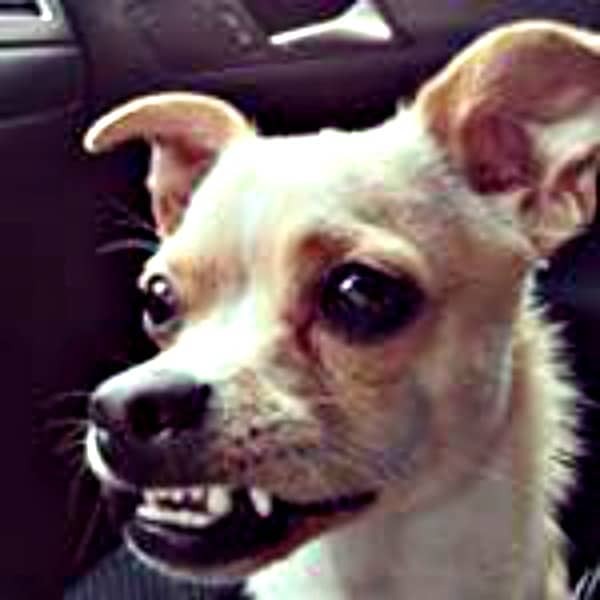 Chico is showing his pearly whites for you. His mom is Destiny Ahaus. Doesn’t Lily have a nice smile? 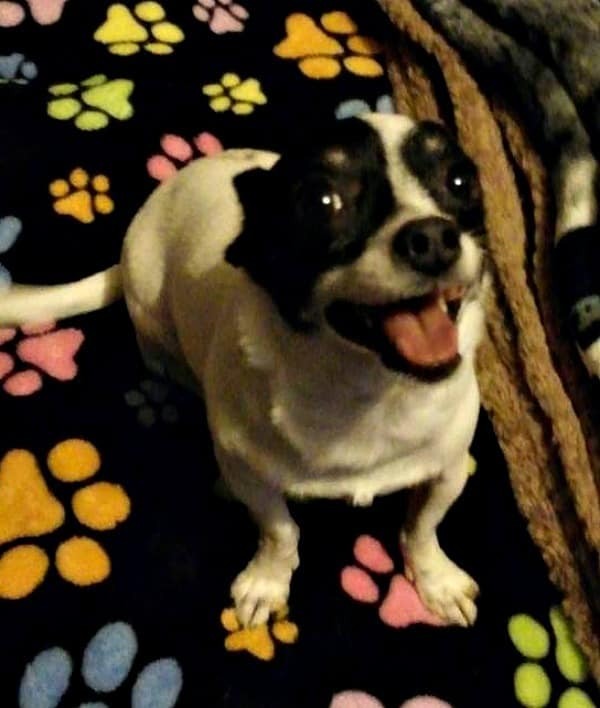 She looks like a happy little Chi. She belongs to Kathleen Eckhart King. Bandyt has a sly kind of smile here. Actually I think the sun is just in his eyes. He’s a cutie! He belongs to Heather Rose. 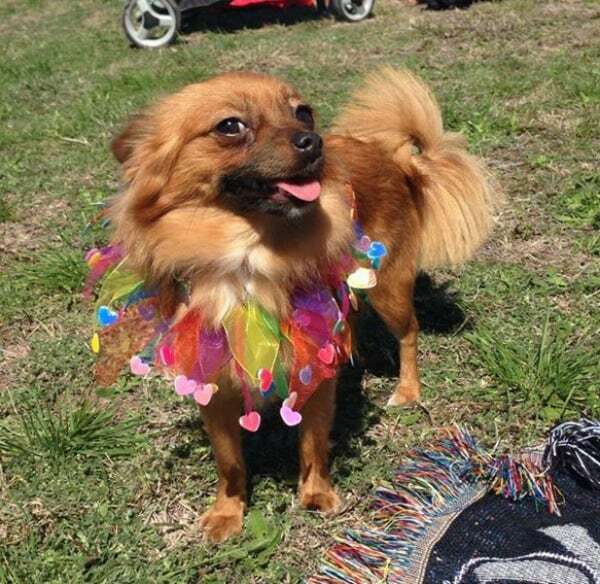 Chi Chi is enjoying the sun in this photo. Unfortunately she has crossed over the Rainbow Bridge. She was loved by Mary Ellen Matthews. 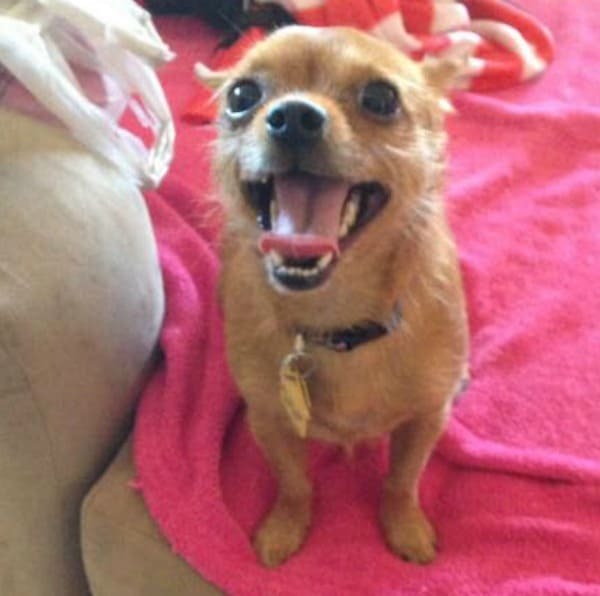 This happy little girl is named Trixi and she belongs to Carrie Craig. 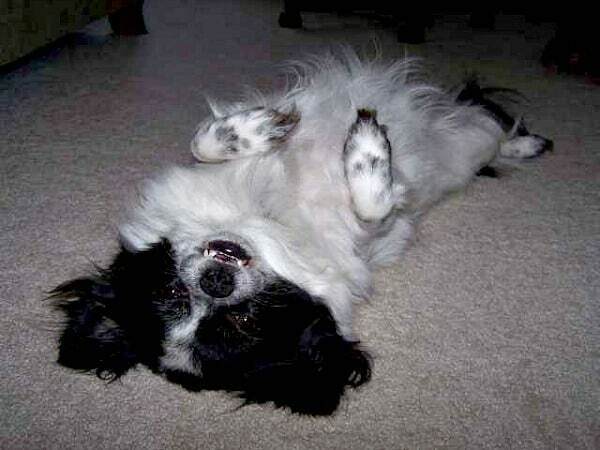 Jaimie Traenkner says this is Rogue giving his Good Morning smile. I’d love to wake up to this cute face every morning, wouldn’t you? 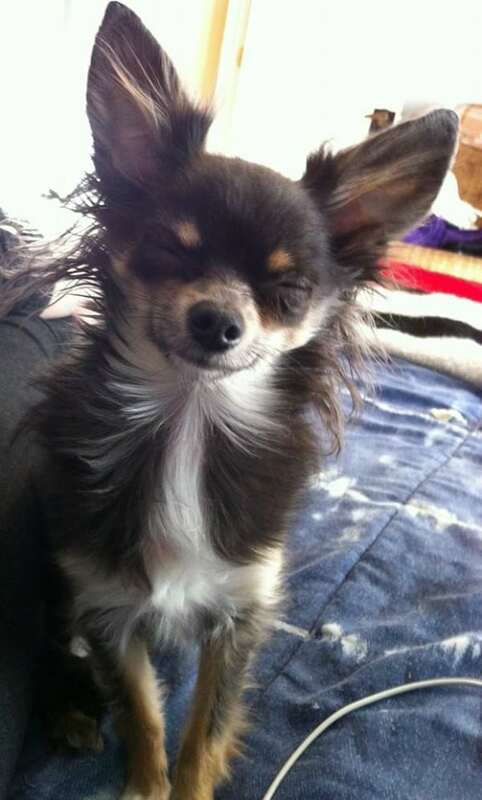 Bobbi Snyder’s cute little long hair Chihuahua looks like she is having a good time here. 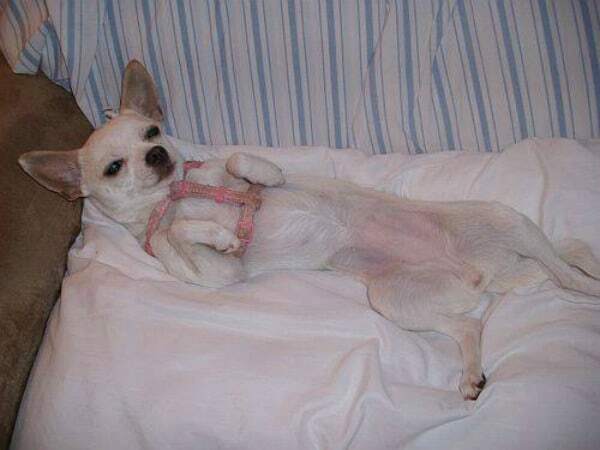 What a pretty white Chihuahua. 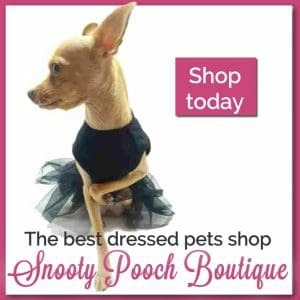 The pet parent is Paige Shaw. Sissie White says her little girl just had a belly rub here. Which is probably why she is smiling. 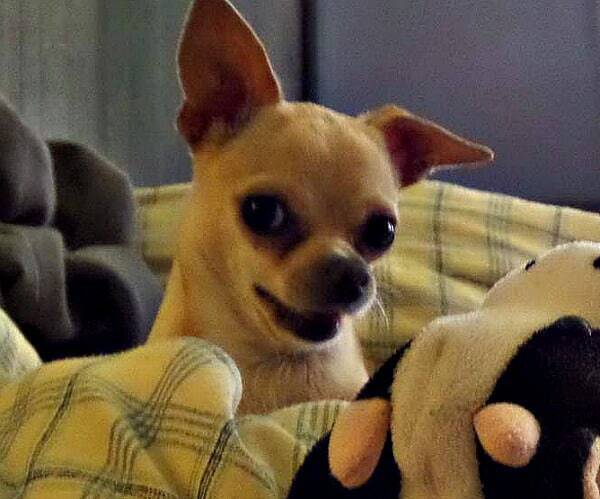 Mindy Brewer’s Chihuahua looks pretty happy here. I’m loving the paw print blanket. Well that’s it for this gallery post. 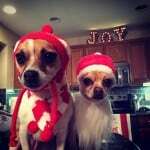 Hope you enjoyed the smiling Chihuahuas! Which one is your favorite? 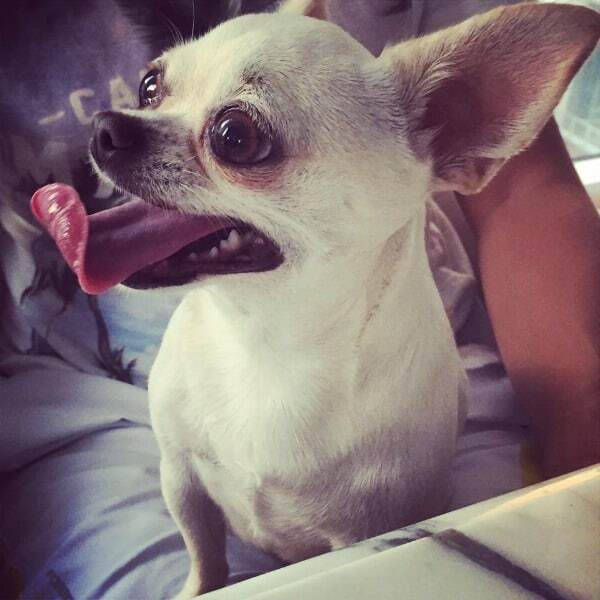 The best doggie smilers are Chihuahuas – WOOF WOOF WOOF! Yes they are Piranha Banana! 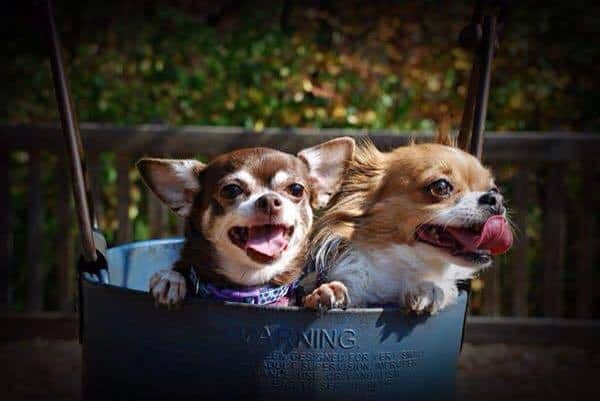 Those are some happy little chihuahuas. Way to put a smile on my face! I’m glad they made you smile Jessica! I love the smiles with the half-closed eyes! Yeah they are cute Elaine. So cute! 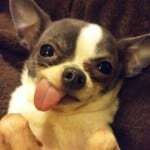 We are about to do a post highlighting the Chihuahua and would love to feature you/your Chihuahuas. Maybe we could do something like a Q&A? Let us know if you would be interested! Sure I would love that. I’ll send you an email. WOW! They really do smile. 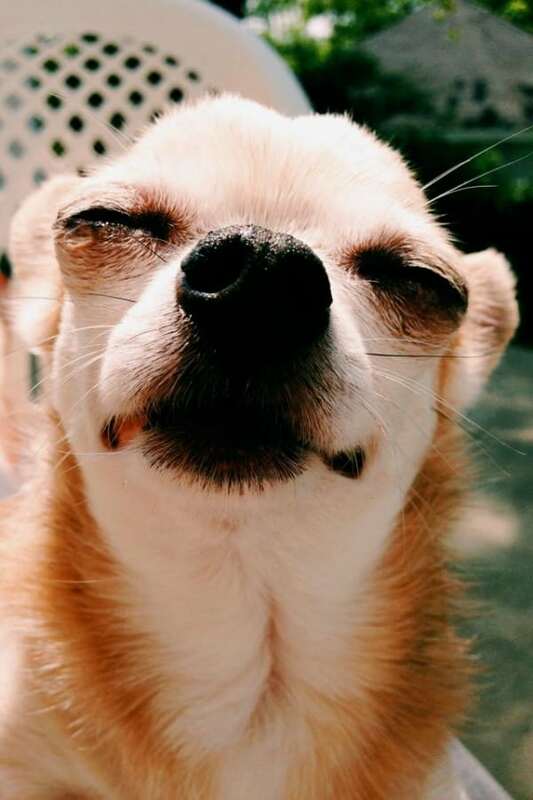 Love when they’ve got their eyes closed. Yeah they are quite adorable aren’t they? 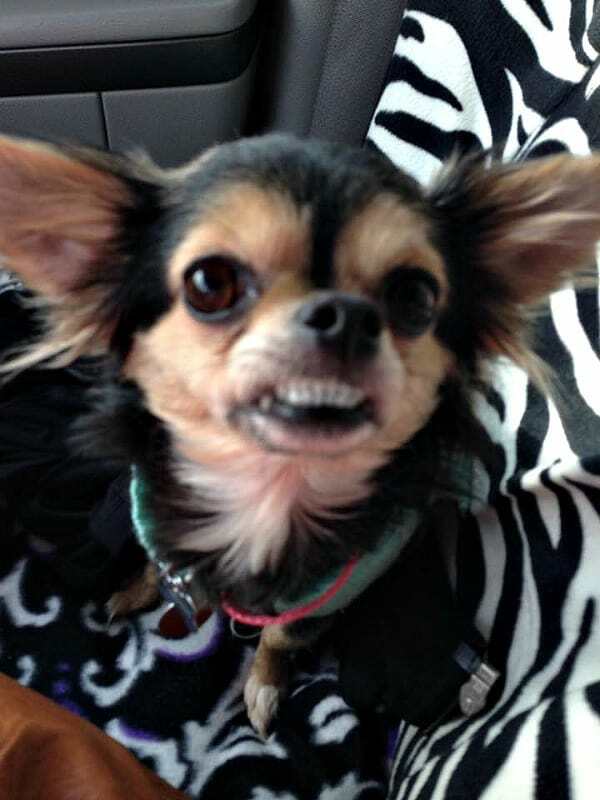 My Snickers loves to smile…lol. He’s a ham. He does look like a cute little ham Elaine! My sweet Irene has a wonderful smile and my favorite one happened in my car. I went to Dallas to visit my daughter and took Irene with me since if I leave her at home she will scream, howl, holler until I get back home. I decided to take her along with me to my trip to the store. I got into my car and set Irene on the seat beside me. I backed out and turned my car toward the store when I just had a feeling, so I looked at Irene lying on the seat beside me. Her face was covered with the sweetest most lovable smile. There was a moment there that was supernatural, just a feeling of mutual love and devotion between us. I will always have that pic in my mind. I have 5 dogs now but I have never had a dog that bonded with me in this manner. She is 15 years old and I see her hip joints are off center and she has curvature of the spine but she is in no pain and is normal in every other way. She has a very good life. That smile on that day told me she loved me with all heart and that was almost like a supernatural bond we shared that day. I love that story Dixie! Thanks, it was one of those very special times that we do not have a lot of. It was a karma action like finding Pinto Bean. Love them all! Lola says hi!🐾 Have a great weekend! 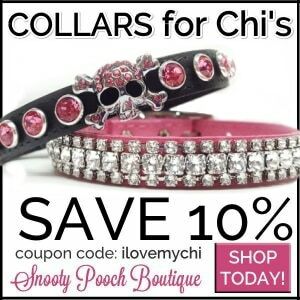 I love this site about chi’s! When I look at all the adorable faces and read the comments no matter how crazy my day went I feel better! Thanks Leslie! Your comment made my day!